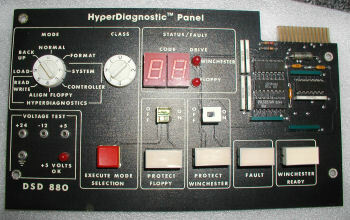 Pictured is a control panel for a DSD 880 which is (?) a plug-compatible RX02/RL02 emulator for PDP8/PDP11 minicomputers. I think that the associated PDP 11 also ran a "FuzzBall" router controller designed by Professor Dave Mills of the University of Delaware. 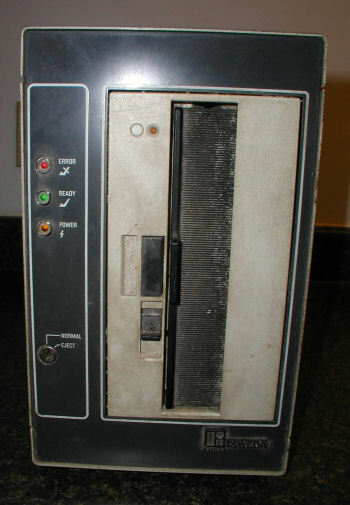 The Fuzzball was the router selected for use in launching the National Science Foundation Network (NSFNET) in 1985, the direct ancestor to the commercial Internet (WWW). Click on image for larger views. The Sinclair Executive was the first pocket calculator produced in the UK. Click on image for larger view. Update date is thread date. Here is a list of product docs I have on hand, for future reference. This is not a complete list. These docs can be found on the bottom shelf in the middle of the row of the product docs and software book shelves.